→What Are the Differences Between White Tea, Green Tea and Black Tea? Did you know that tea is the second most popular drink after water? I personally love my cup of tea in the afternoon as it helps me to stay focused when I’m working. Tea has delicious flavors and just about the right amount of caffeine to refresh my brain when I need it most. Each with their own distinct flavors, I enjoy drinking white tea, green tea as well as black tea. Let’s have a look at what the differences are between these three types of tea and which one offers the best health benefits. Tea has become increasingly popular in the western world in recent years as a much healthier alternative to soft drinks. Think about it, fresh tea contains no fat, no calories, no preservatives and no sugar. So why would anyone still want to drink a can of coke in the afternoon? On a warm day, it’s understandable. But in the office, at work, or at home, a cup of tea is a much better choice. The three main teas – white, green and black – all come from the same plant, the Camellia sinensis plant. Tea as we know it is prepared by pouring hot water over the leaves of this plant. Oolong tea also comes from that very same plant (more on oolong tea further below). A tea can really only be classified as a tea when the leaves are from the Camellia sinensis plant. Other teas, such as herbal teas, are therefore not considered real teas because they are made from different plants and herbs. The differences between white tea, green tea and black tea are mainly determined by the level of oxidation that takes place during the processing of the tea leaves. Oxidation in this context means that the leaves are processed such that enzymes trigger the natural oxidation process. Oxidation of tea greatly impacts the appearance, flavor and chemical composition of the leaves. It turns tea leaves brown or black and increases caffeine levels in the final tea. It also enhances flavor. But the trade-off is that a heavily oxidized tea contains less antioxidants. All fruits and plants oxidize. A banana, for example, starts green and slowly turns yellow and finally brown as time progresses. With the change of color, the taste also changes drastically. Tea leaves start green and slowly turn brown, or even black, due to oxidation. Originally a Chinese beverage, white tea is the least processed of all types of teas. White tea is not (or hardly) oxidized which means it is able to retain most of its natural antioxidants. It also means that white tea doesn’t have the strongest flavors and has the least amount of caffeine. For these reasons, white tea is arguably the healthiest type of tea out there. White tea typically has a very mild, sweet and somewhat flowery taste. Popular in both Japan and China, green tea is slightly more processed and oxidized than white tea. Green tea leaves are traditionally heated soon after harvesting by means of frying or steaming. The leaves retain much of their natural green color because oxidation is minimal. Green tea often has a somewhat grassy, or earthy, taste. It certainly isn’t for everyone, but I personally love it. >> Check out these 3 delicious green tea smoothie recipes. The most popular tea in the western world is black tea. It is called black because it is fully oxidized creating that dark color. With its strong aromatic flavors and high caffeine content, black tea is often enjoyed as a morning beverage instead of coffee. Black tea leaves are typically withered (dried), which triggers the oxidation process, and then crushed. Black teas are often flavored with added fruits, natural essences or spices, such as ginger and cinnamon. China and India are major black tea producer, with Darjeeling tea being one of the most popular and well-known black teas. 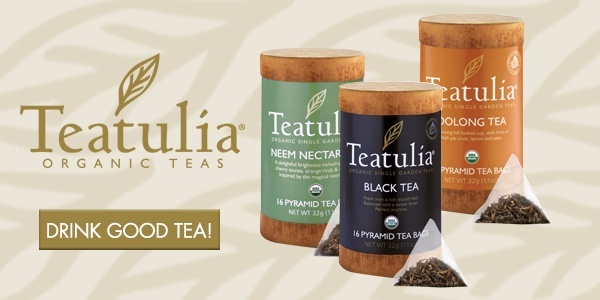 >> Shop delicious organic teas on Amazon. A traditional Chinese beverage, oolong tea is another type of real tea that is also made from the leaves of the Camellia sinensis plant, just like white, green and black tea. When it comes to flavors, caffeine and antioxidants content, oolong tea sits between green tea and black tea. Oolong tea is usually slightly more oxidized than green tea, but less than traditional black tea. Similarly, caffeine levels in oolong tea are typically higher than in green tea, but perhaps not as high as in black tea. Shape is another factor that make oolong tea different from the other teas. Tea leaves for oolong tea are traditionally rolled, curled and twisted. This process has an impact on color and aroma of the final tea leaves which is why there are different varieties of oolong teas. What About Rooibos and Herbal Teas? Rooibos tea is from a different plant and as such is not considered an original type of tea. It’s traditionally a South African drink and contains no caffeine. Herbal teas are also not “real teas”. They are simply blends of herbs, fruits and flowers. Herbal elements often get added to white, green and black teas to give them more flavor and to target a bigger consumer audience. My favorite combination? Green tea with lemon! So which tea is best for you? Arguably, white tea is best for you as it typically has the most antioxidants. But hey, this is just tea we’re talking about, and our lives don’t depend on it. So realistically, drink any tea you like, it’s always good for you. 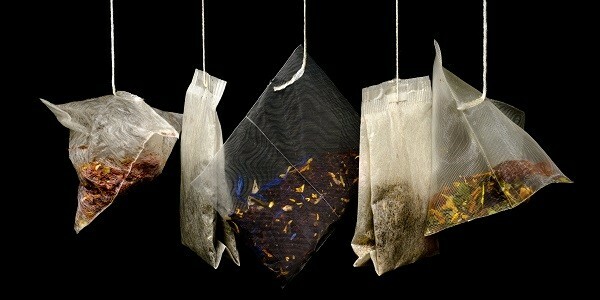 I personally drink all types of teas regularly. They all have their own distinct flavors and I enjoy drinking all of them. In general though, I prefer a strong black tea in the morning, and a softer white tea in the afternoon. And green tea relaxes me, so I drink it any time of day. One last note, I would personally stay away from teas that have all sorts of extra artificial ingredients to make them taste a certain way. It’s fine to drink lemon flavored tea for example, but be sure to read the label and choose tea that only has natural ingredients.